Via our Academy we can now offer all our corporate and individual clients a more powerful and more complete web-based learning experience. it enables very powerful learning processes – individual learning can be integrated with skill development workshops and in-job coaching to provided fully blended learning – the most powerful learning process available for individual and corporate development. ability to build customized learning pathways – whilst the Institute has a wide range of learning pathways (programmes) for different needs or levels of need, we recognize that some individuals and organizations have specialized requirements. The Institute’s advanced pathway tools can build customized learning programmes for individuals, cohorts or whole organizations. opportunities to work towards achieving, for example, Chartered Manager status – Chartered Manager is a management award which is recognized throughout the world for the confirmation it gives of a manager’s professional capability. 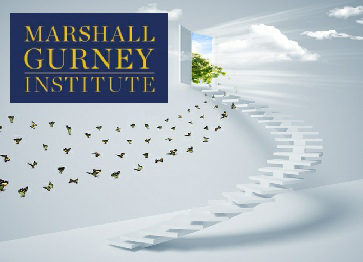 All these additional benefits are now available for all Applied Learning clients through our new partnership with Marshall Gurney Institute – the web-based management college. Click on the image below to go to our partner Institute and learn more or use the Contact Us link to get in touch with one of our team.